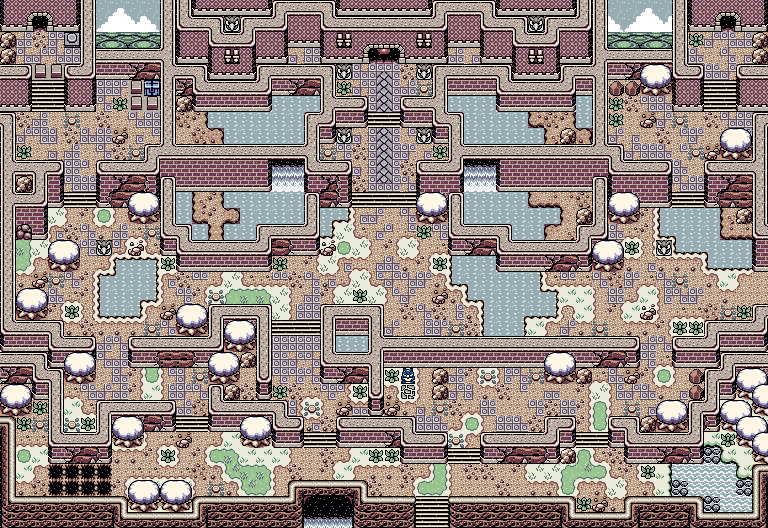 An ancient castle that lies in ruins atop a lonely mountain... What secrets could it hide? 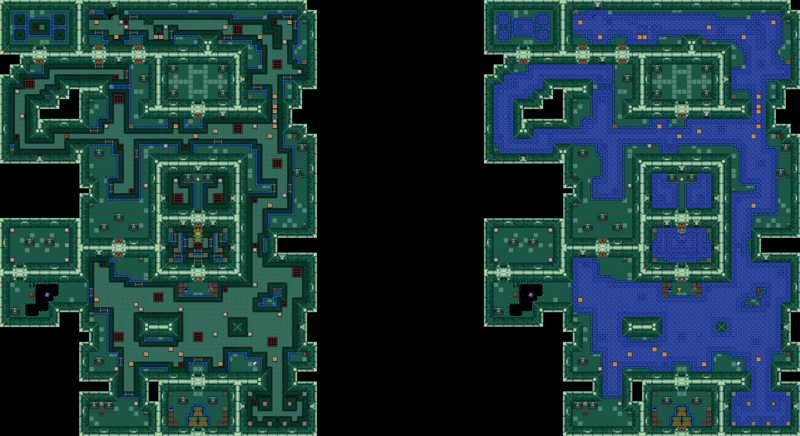 A great water temple in a zelda-game? It's not impossible. 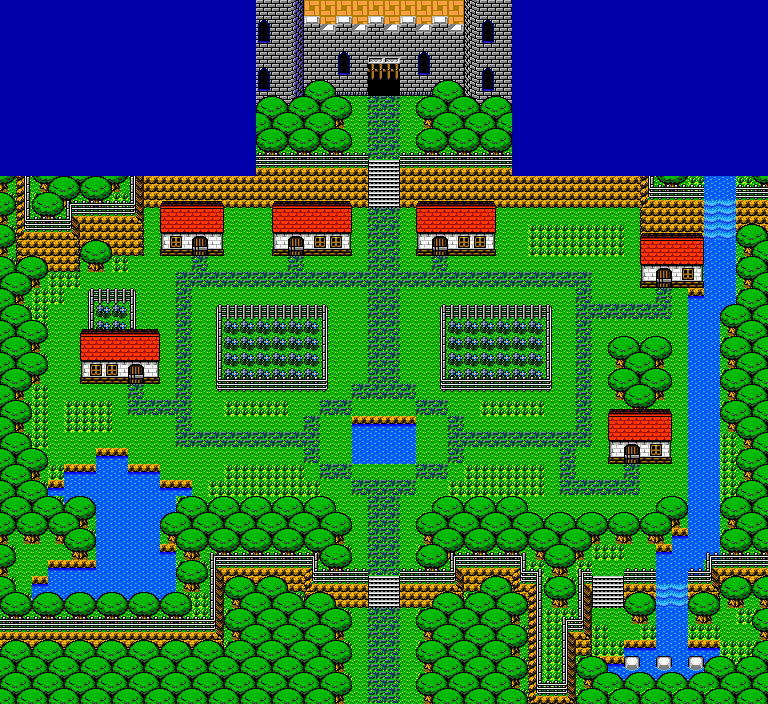 Fits the NES palette perfectly, just without the color-depth limitations! 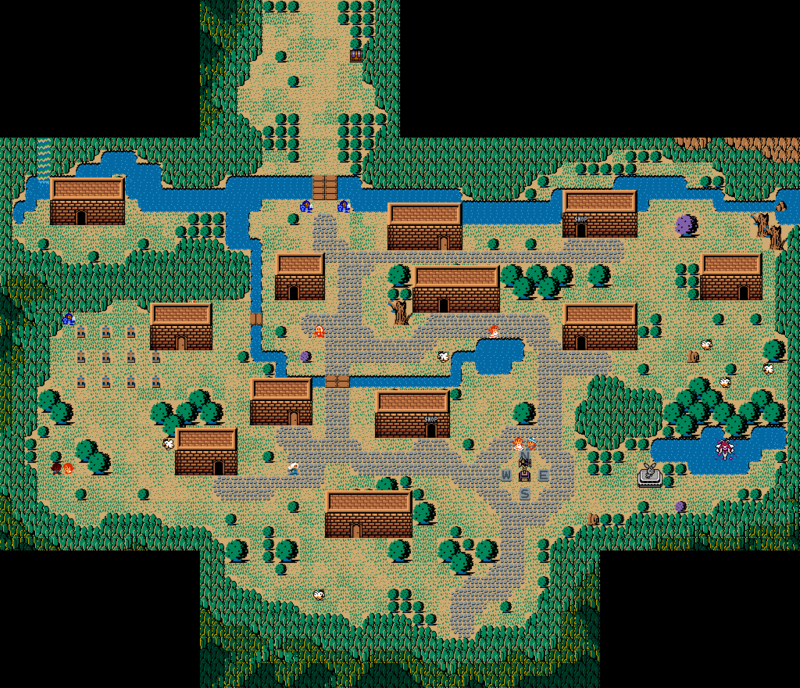 Walls, halls, and falls: Demonlink's map has it all...s! His ancient castle advances to the finals.